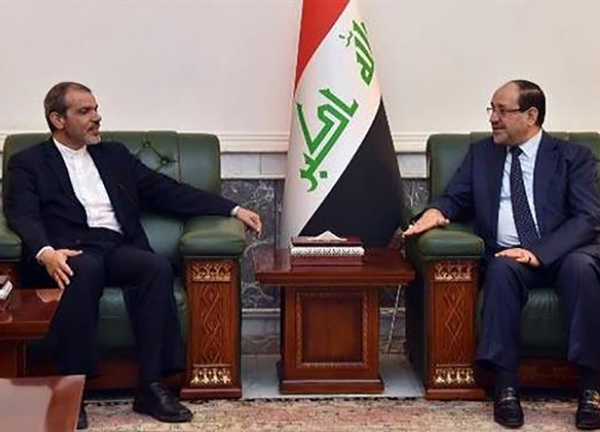 The Iranian ambassador to Baghdad says the Islamic Republic is prepared to further strengthen cooperation with Iraq in the fight against the Takfiri ISIS terrorist group. During a meeting with Secretary General of Iraq’s Islamic Dawa Party and former Prime Minister Nouri al-Maliki in Baghdad on Sunday, Hassan Danaeifar, the Iranian envoy, said Tehran seeks to broaden its amicable relations and cooperation with Baghdad in all spheres, including security issues and the campaign against ISIS. He also congratulated Iraq on the recent liberation of the western city of al-Khalidiya from the grip of ISIS. On August 27, Iraqi Prime Minister Haider al-Abadi announced the full liberation of Khalidiya, which is located about 83km (50 miles) west of Baghdad, stating that Iraqi forces had dealt a “humiliating” defeat to ISIS Takfiris with the liberation. Iraqi Lieutenant General Rashid Falaih also announced that over 1,000 ISIS elements had been killed during the Iraqi army’s operations to free the strategic town. During the Sunday meeting, Maliki, for his part, emphasized that Iraqi security forces, fighters from the pro-government Popular Mobilization Units and Kurdish Peshmerga forces are resolute to put an end to ISIS’ presence in Mosul and eventually eliminate the terrorists from Iraqi soil. The Iraqi politician also praised the Islamic Republic of Iran’s support for his country in the fight against terrorism. The northern and western parts of Iraq have been plagued by gruesome violence ever since ISIS terrorists mounted an offensive there more than two years ago. The militants have been committing vicious crimes against all ethnic and religious communities in Iraq, including Shias, Sunnis, Kurds and Christians.